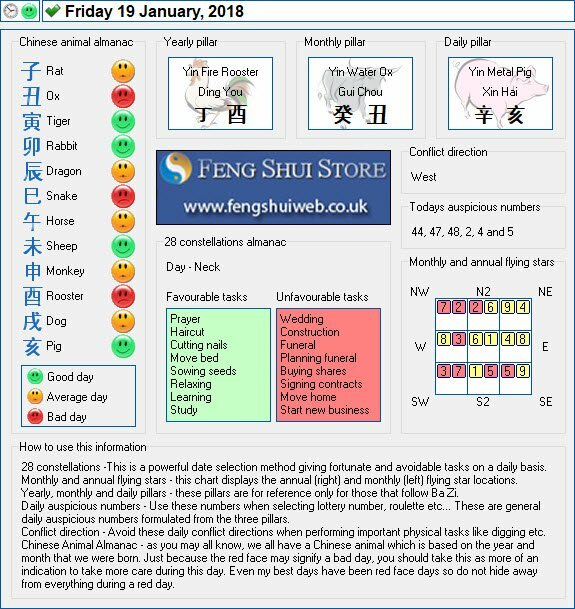 Here is the Free Feng Shui Tong Shu Almanac for Friday 19th January 2018. Thank very much for your time, help and guidance. Much appreciated.